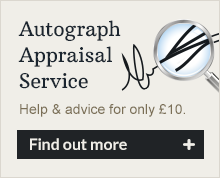 Here we offer a rapid online without prejudice independent expert Autograph Appraisal and Advice Service for just £10 UK pounds. This is a simple to use, convenient and likely to be very helpful service to autograph buyers / sellers who need professional assistance in making a better informed decision on a purchase or sale. We provide a quick & confidential opinion on the authenticity & value of autographed items for sale on the likes of Ebay / Internet Auction Sites and with non-registered rogue dealers. We can offer advice to those looking to value & sell collections with guide prices and potentially help put them in touch with the best places to sell. Simply fill in the form below giving your: Ebay Item Number (if applicable) and / or the question / advice you need answering. The cost is £10 UK pounds and can be paid by paypal or credit card, using the form below. We will then endeavour to reply almost immediately but most certainly within 48 hours. This will usually be a single paragraph of text answering your question. Remember this is quick advice and expert opinion NOT a fully-fledged detailed authentication service. If we are able to help or provide a definitive answer, we guarantee this will be of great value and potentially save any client from making an expensive mistake. If we are not able to provide an answer that really benefits the client, he / she will not be charged and any payment made will be refunded immediately in full. 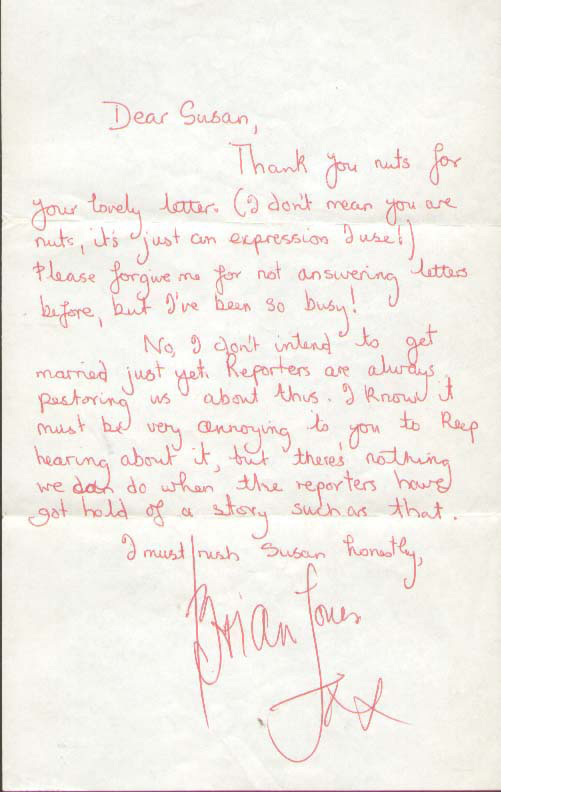 Memorabilia UK do reserve the right to politely refuse and refund any request that causes a conflict of interest or which may result in major controversy. Our replies are quick opinions based on the information provided and are CONFIDENTIAL and for our client use only. Our name is NOT please to be used in any resulting litigation or written disputes as we do not wish to receive the abusive emails etc that might often be sent as a result from rogue traders. Your service was remarkable - less than 24 hours from my frantic email to you, you found the item and here it is safe and sound in my hands, in all its glory. Some kind of world record I would say!